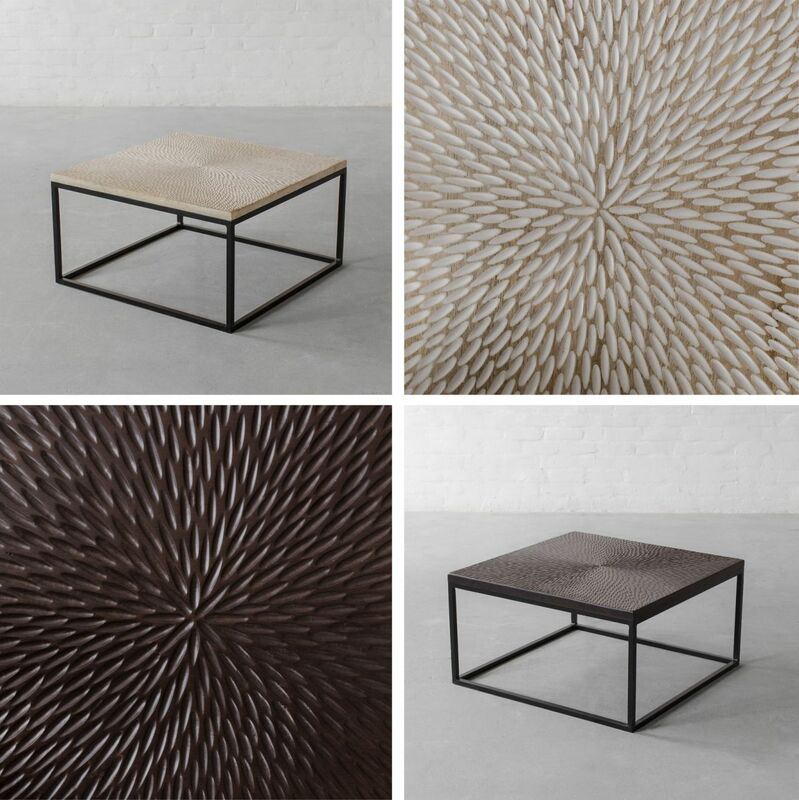 Amaze the onlookers with this collection of coffee and nesting side tables! 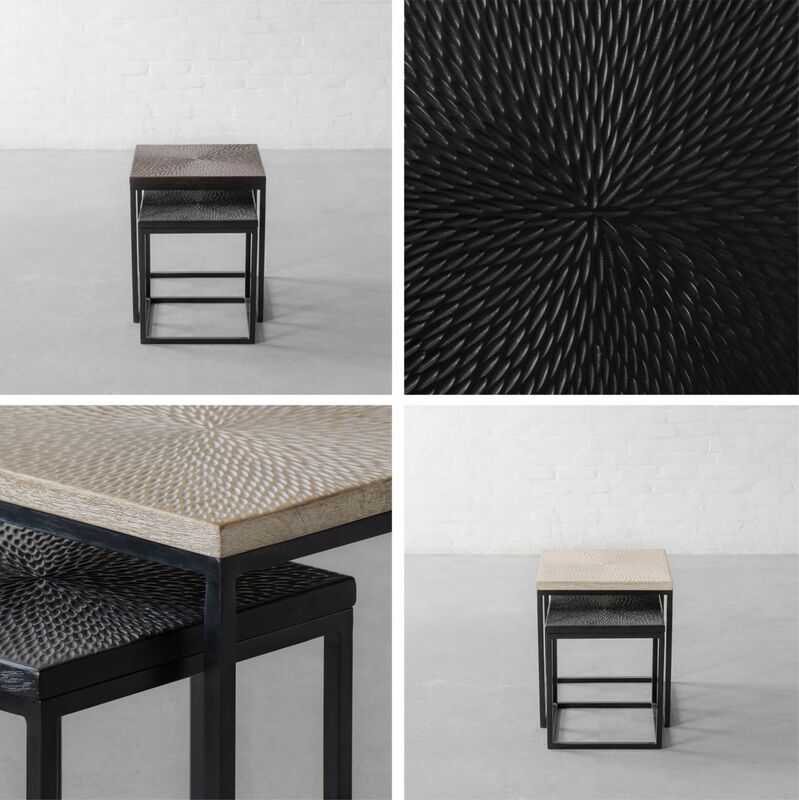 The beautifully gouge carved wooden tabletops exemplify precision while the metal base frames add functionality and modernity to the designs and make them look distinctive. 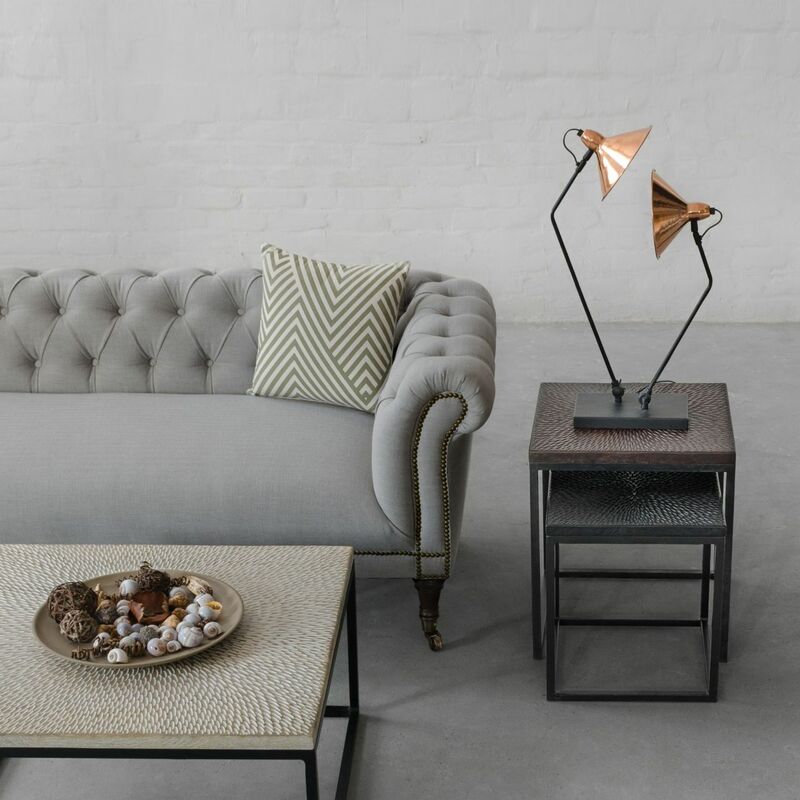 A touch of tradition in a modern silhouette, these tables are a living room must have!